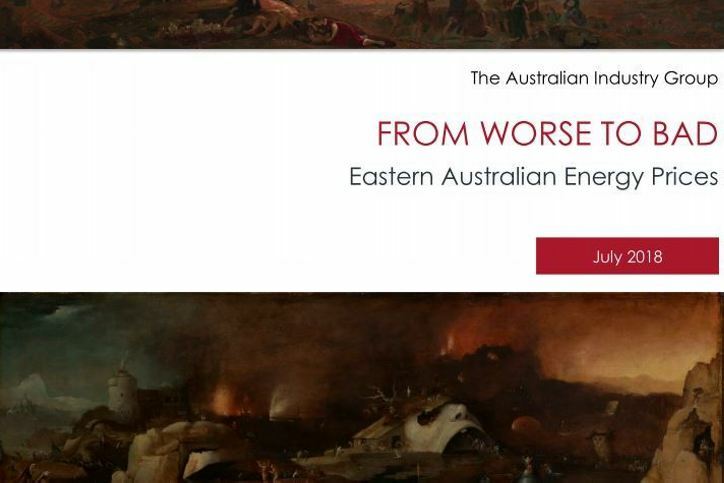 The Australian Industry Group has released a new report that examines the ongoing energy crisis in Australia which, while improving, can be said to have gone from worse to bad. The report, Eastern Australian Energy Prices – from Worse to Bad, is based on Ai Group’s own research including consultations with member companies across the economy. Ai Group played a leading role in warning of the gas and electricity price surge that buffeted Eastern Australian businesses and households over the past year. Building on our earlier research, our 2017 report, Energy shock: no gas, no power, no future? put into stark terms the scale of the challenge created by an export-led gas price rise and a much tighter electricity market dependent on gas generation. Ai Group Chief Executive, Innes Willox, said: “This latest report outlines that the price improvements since 2017 have been strictly relative. Energy prices are set to remain well above their historic average, sapping the competitiveness of many industries and putting households under pressure. “The report suggests a bleak future for gas users where supply costs are high, and exports have permanently transformed the market. New supply is essential to avert a return to the scarcity pricing of 2017. However, if export parity pricing is the norm instead, gas users will likely have to economise, fuel switch, or in the worst case leave Eastern Australia entirely in search of cheaper gas. The possibility that gas-intensive industries will leave the East represents a major failure of national energy policy that has been many years in the making. If we allow these activities to leave Australia altogether, the loss of jobs, investment, and critical inputs for the rest of the economy would be severe. Gas hurts power prices. Gas generation is currently an important share of total electricity supply and essential to provide flexible capacity to meet swings in supply and demand. But if gas is going to stay expensive, its role in electricity must shrink or we will be condemned to endless high electricity prices. We are lagging on flexible supply beyond gas. Reducing the volume of gas generation is easy – the current surge in Renewable Energy Target-driven renewables development is already set to cut gas use sharply. There are many other flexible options, from pumped hydro and batteries to demand response. Coal plants can be upgraded to make them more flexible, and greater technological and geographic diversity of renewables can make their collective output steadier. More reforms to planning and market design are needed to let all these options flourish. Uncertainty cruels investment. Suppliers will have to spend money for users to save money, but more than a decade of political warfare on climate has left immense uncertainty for energy investment. The architecture of climate policy can make a big difference to the expected returns from any project, whether coal, gas, renewables or storage. Continued deep uncertainty will see lower, slower investment than we need. “On this final point, the National Energy Guarantee is a technology-neutral approach to cutting emissions, maintaining reliability and improving affordability. It can be a durable mechanism for investors to plan around. The COAG Energy Council and Federal Parliament need to find compromises if we are to deliver the reduced uncertainty the energy industry and its customers desperately need,” Mr Willox said.